» I Successfully Quit Smoking without Medication: Here is How. I Successfully Quit Smoking without Medication: Here is How. "Quitting smoking is easy. I've done it a thousand times." Mark Twain was right when he wrote the words above. A lot of smokers have been trying to quit but a lot have failed miserably, too. Their stories should not be yours. Two years in and I already feel like a brand new person because I have successfully quit smoking. The best part about it is that it was all about discipline. Only 4 to 7 out of 100 are able to do this right without medication, as per the American Cancer Society. I did seek help from the experts, read researches but I never had to go to a professional for nicotine replacement therapy. Here is the how I was finally able to do it. If you are currently struggling with excess weight, pimple breakout, and other problems for the body on top of quitting smoking, then, choose one. This causes a chain of problems because you tend to reward yourself with a smoke once you get pass one of these problems. On the reverse side, you tend to eat more when you finish a day without smoking. The secret is to focus on only one and put a timeline to it. There are tons of support groups available out there. If you do not have the access to a nearest support group meet, at least find one online. Most of the time, it does not even have to be a formal support group. Families and friends who are one with your cause may be enough. Support groups take a huge part in overcoming the mental part of the process. American Cancer Society says that it is easier if you tell others your plans, patience, slips, small successes, cravings, and other experiences throughout the whole process. Usually, people smoke during work breaks, after every meal, before and after work hours. I found it easier to quit smoking when I intentionally changed my activities during these times. These made me “forget” that there is a cigarette available for me to smoke. I do other things during these periods to get my mind off smoking. I chat with my work friends indoor to avoid lighting another stick. I take my lunch break at the office pantry and take a nap instead of going out for a puff. After eating, I go out and take a walk instead of relaxing. Having a mouth that just went through a luscious meal always begs for a quick smoke. Before, I felt that smoking helps balance the taste of the meal in my mouth. Everything changed when I read from University Health Services that it helps to have a mouthwash after a meal because it cleanses the palate. I have friends who are fellow smokers so this step is always one of the hardest. I had to sacrifice a few small talks during smoke sessions because I really wanted to get out of the habit. 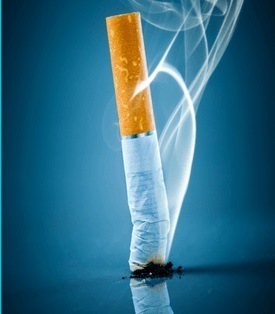 Surrounding yourself with people who even despise smokers will greatly help with the cause. You will get a lot of tips on how they take their stress away without having to light a stick. Also, use their disgust on smokers as a fuel to quit. All the support groups, families, and friends that support you on this are useless if you do not talk to yourself about quitting, too. It helps to have your own words of encouragement when the worst episodes of cravings hit you. Tell yourself that you can do it because in this time, nobody else would. Remember that there will be huge challenges along the way. Celebrations, stress, invitations to smoke, even just the smell of smoke could help you get off your mission. Stay focus. Deciding that you will quit is already a big step. Go further. Eyes on the prize. Have you tried quitting smoking? Have you been successful in your goal? Don’t forget to share it here.